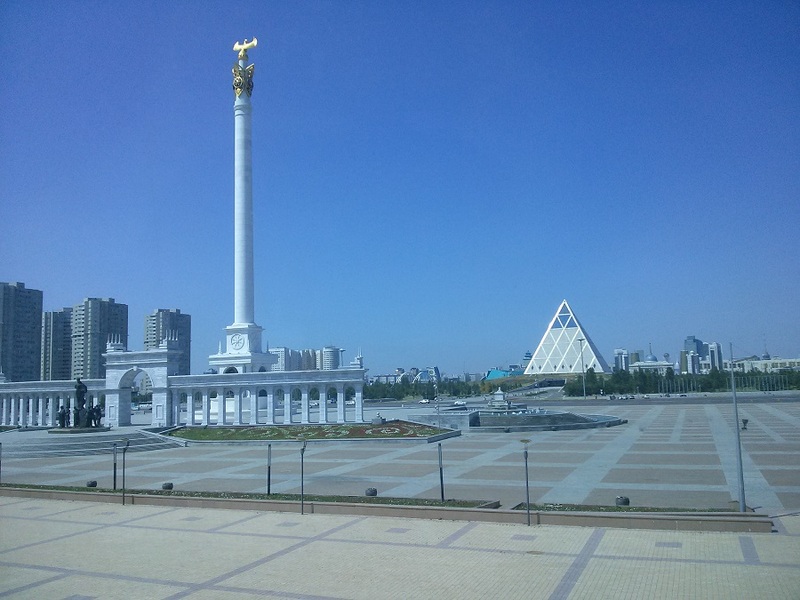 We’ve been in Astana, Kazakhstan for a couple of days now and it’s certainly an interesting place. We’ll know a bit more after we’ve had a chance to tour the city a little bit on Sunday but for now, it’s up to us to figure out this contradiction of a city on our own. Astana is a rather new city. Japanese architect Kisho Kurakawa has designed the city and the futuristic buildings really stand out. The city is exactly the opposite from Istanbul, an ancient city that’s overcrowded with 16 million people. Here, the use of space is similar to midwestern North American cities, with vast distances between buildings and little urban density. 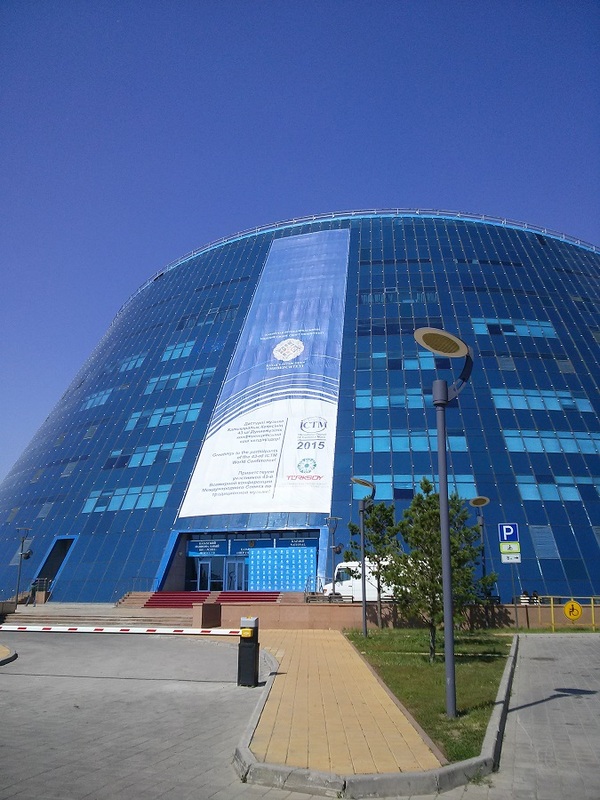 The Kazakh National University for Arts is a space-age building located across the street from a beautiful, enormous mosque and right around a giant pyramid and a column, not unlike Nelson’s Column in Trafalgar Square. Last night, several Jewish participants in the conference and our partners went to the only synagogue in Astana for Friday night services. Since the rabbi is a Lubavitcher rabbi (originally from Odessa), the services had a very Hasidic character to them and we were invited for the meal afterwards. 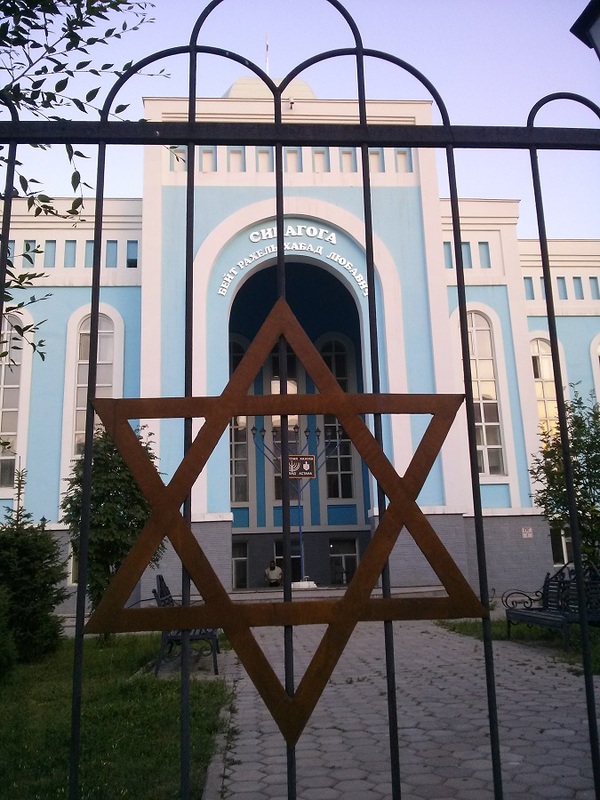 The community here is small but we were told that Almaty has a much larger and more active Jewish community. 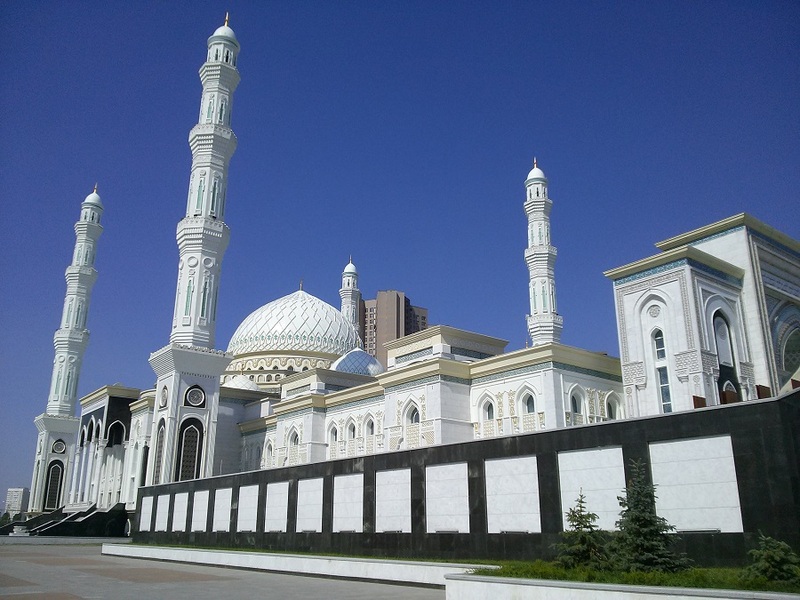 Unfortunately, Almaty is about 15 hours away by car (and 1,200 km). It was an interesting night that could have gone on longer had we not had to return to our lodgings but it was definitely a great way to see the Jewish community at work. Catch KlezFactor on their European Tour this summer, with stops in Berlin, Dresden and Prague!